Billy Murphy from ForeverJobless.com is a successful entrepreneur and ex-professional poker player who joined me for an episode of the Financial Independence Podcast to share some of his business knowledge and talk about his experiences investing in internet businesses. Mad Fientist:	Hey, what’s up everybody? Welcome to the Mad Fientist Financial Independence Podcast. It’s been a while since my last episode, so I’m really excited to be back. Now that I’ve finished writing the code for the File Laboratory software, I’ll hopefully be producing more of these episodes. Speaking of the FI Laboratory, if you haven’t checked it out yet, head on over to Lab.MadFientist.com to take a look. Over a thousand people have already been using it and I’ve got some great feedback so far. So if you want to track your progress to financial independence and find out when you can expect to get there, head on over to lab.madfientist.com to sign up. I’m really excited to introduce my guest today, Billy Murphy. Billy is an ex-professional poker player who now writes about entrepreneurship and business at his blog, ForeverJobless.com. There are a lot of people out there that write about online business, but I have to say that Billy is, by far, my favorite. He doesn’t write often, but when he does, he delivers these long, incredibly detailed posts that just blow everything else out of the water. Billy is here today to talk about his poker days and his experience investing in online businesses. And it’s the online businesses that I’m really excited to chat with him about for theories and some. Like a lot of you out there, I’m a software web technology guy, so the idea of investing in online properties for recurring cash flow as opposed to physical real estate really appeals to me. When you consider the fact that some online properties are selling for one times annual profits, the idea gets even more exciting. To put that in perspective, how would you like to fund $2000 worth of monthly expenses with a single $25,000 investment? That sounds pretty amazing to me. So yes, without further delay, let’s chat with Billy to find out how that’s possible. So Billy, thanks a lot for being here. Billy Murphy:	Thanks for having me on. Mad Fientist:	Your site is mainly for the entrepreneurial crowd. And since mine’s a personal finance site, it’s possible that my readers maybe don’t know too much about you. So could you just tell a little bit about yourself and what your site is all about? Just give a little background. Billy Murphy:	My site is ForeverJobless.com. Quick background on my work history is I was a professional poker player for about four years after college. And then started a poker training company to basically train people how to make more money playing poker. That led to me being in e-commerce space. The poker company was run relatively passive. I had somebody doing the operations for that. So I started doing e-commerce stores, bought and started probably 15 to 20 of those. They’re all really small drop-ship stores. Then I started Forever Jobless in 2012 just talking about some of the businesses I was involved in, breaking down different entrepreneurial theories and showing what’s worked for me, what hasn’t worked for me. Then in the last six months or so, I’ve started investing and advising in basically, small businesses online, basically, companies that need funding, need advice, need intros, that type of thing. So I started doing a handful of those. And then most recently, I’m doing a podcast. Basically, the same things I talk about on Forever Jobless, just different entrepreneurial topics and case studies. Mad Fientist:	If people haven’t checked out Forever Jobless, it is, by far, my favorite site in this space. Most of the make money entrepreneurial things, it’s all based on things like e-books and just crap that doesn’t seem like real businesses. But you have such a unique perspective and I think a lot of it comes from your poker background as well. So let’s dive in to a little bit of that. How long did you play professionally for? Billy Murphy:	So I did it professionally for about four years. I had played semi-professionally for part-time income for probably maybe four to five years prior to that. I was in college when I started playing. I think I started playing in sophomore years. I guess I would have played three or four years before I became a full-time pro. Mad Fientist:	Did you just get burned out and decided to move on to other things? Or was it the fact that you enjoyed setting up Blue Fire Poker, which is the site that you mentioned before? Did you just have so much doing that that you thought, “I can make just as much money being an entrepreneur as I can playing poker and it’s a lot more fun.” Is that how it went? Billy Murphy:	The plan was always to start businesses. I didn’t get into poker thinking I would do that for 30 years or anything like that. Poker was an awesome job, but it was still a job. It was a grind. You basically had to put in the work. It wasn’t passive. And so I did poker to build up capital to allow me the flexibility to start businesses and have the capital to do it and have a cushion for a while, so that I didn’t have to worry about much. I loved playing poker. But if somebody had said, “Hey, let’s go play poker for a week,” I wouldn’t be interested at all because I had played so much poker over the seven- to eight-year period. I was playing almost every day. Once you do that for a while, it becomes less of a game and more of just strategy, and you’re sitting down to try and make money. Mad Fientist:	Right! And that’s strategy that helps you succeed, I think, a lot in business. One of your most popular posts, EV: Millionaire’s Math, where EV stands for Expected Value, expected value is huge when you’re playing poker because you’re just maximizing all these small, little edges you have, and you do it enough, you’ll end up making money. You use that same philosophy in business. Could you just talk a little bit more about expected value? Billy Murphy:	Yeah, definitely. Like you said, I basically got the background on expected value from playing poker. It’s a really common term in poker. It’s basically any decision you could make, there’s an expected value from that decision. So whether it’s a poker hand, whether it’s someone’s job, whether it’s business venture, there’s an expected result that you can expect. That’s a better way to explain it. But basically, there’s an end number. So if we’re talking about money, there’s an end number that you can calculate and figure out what you could expect to make. The way most people make their decisions are very emotional. So basically, calculating expected value gets you to a very logical answer in what you can expect and then you know the correct route to go. In other words, to give an example, if you and I flipped a coin and we each bet a dollar, you bet heads, I bet that it will come up tails. We’re betting a dollar. Our expected value is $1. The winner is going to get $2, but we each put in a dollar. So basically, it’s a mutual EV. There’s a zero expected return in that case because it’s 50/50. So same concept for people in a job is, let’s say, someone’s job makes them $50,000 a year. Let’s say they’re debating whether or not they just start a business. Well, if you’re debating whether to start a business or not, the way most people do it is, “It sounds risky to leave my job. I might lose all my money in the business. I’m just not going to start a business. I’m going to stay in my job.” Well, that’s an emotional decision. So a logical decision would be to calculate the expected value from the business. And the way to do that is obviously doing due diligence. For me, I try to calculate out a top end number. “If this business opportunity did really well, here’s what I would expect.” I’ll calculate another conservative number. I’ll calculate a really bad case scenario. And the, I’ll allocate a certain percentage to each of those things happening to allow me to come up with an expected value for the business. So they would know, “Okay. So mathematically, it’s better to try and start this business” where the way most people make decisions, they would never get to that point. They would have to make an emotional decision. Emotional decisions usually lead you away from any short-term risks where lots of times, that’s bad. For example, there’s a big difference between risk and variance. A lot of people get confused with thinking that variance is risky. In other words, I’ve stated businesses that have close to zero risks. Some of the investments I make now have close to zero risks. There’s almost no way I can lose money on them. But there’s a high upside that I can make a lot of money. However, avoiding all these plus EV opportunities, all those people are basically guaranteeing themselves failure long-term compared to if they just got into plus EV opportunities over and over and over again. Mad Fientist:	To bring it into something the personal finance crowd may recognize more, it’s like being in cash versus being in stocks. Stocks have a higher variance, but the expected value over time is a lot greater. You could stay in cash and be safer in the short term, but inflation is going to eat at you and before you know it, your money is not going to be buying hardly anything that you need it to, whereas if you go and “risk your asset,” you end up having a lot more money at the end of the day. This leads to another one of your great articles called Entrepreneurial Diworsification. Yeah, if you could get to talk a little bit more about that. Billy Murphy:	The way a lot of people do when they’re first starting out is, “Hey, here are 5 to 10 ideas I have for businesses. I’m just going to start them all.” Doing it that way, there’s almost no chance in the world that one of those is going to blow up and be a really big business. Reason being, let’s say you took 10 business ideas and you try to start them all at the same time. At the maximum, your best idea is going to get 10% of your time. The idea that could have done really well is going to get 10% of your time. And then, on the backend side of it, let’s say each of your business grew $100 a month. Maybe they’re all passive even, but the actual asset value is very, very low in terms of a multiple compared to if you build an authority business up. So in other words, if you had a business making a thousand dollars a month and it was an authority business on a small space that was it, it would sell for a higher multiple than just a tiny, tiny microsite that’s not authority and could be wiped out at any time. A lot of those businesses will sell for 12x or less monthly income where a business that is viewed as an authority business, it’s also a less risky site, would be viewed at a much higher multiple anywhere from 12 to 36 months, depending on, obviously, the type of space that it’s in. Mad Fientist:	Let’s talk about multiples actually because this is really exciting stuff for people on the path to financial independence. For me personally, I had contemplated investing in real estate or things because I have a sizable amount saved up and I’m looking for consistent income and things like that. But I don’t know anything about real estate. I don’t know anything about home maintenance. I don’t have any of those skills. That led me to think, maybe I should invest in online properties because I’ve been a professional software developer for the last 10+ years. I have a degree in computer science. This is the stuff I know. It could also create this type of income. So when I started looking into it and seeing things like one x annual income is what some of these sites are selling for, that’s like buying a $120,000 house and charging $10,000 a month in rent. So there’s definitely some opportunity here. If you could just talk a little bit about your experience investing in online properties and how you got started and where it’s led you today. Billy Murphy:	In 2011, I started basically buying and starting from scratch, just a bunch of small dropship stores. And the first one I bought, I had no idea how to do it. I had a buddy in e-commerce who’s doing really, really well. He actually never bought anything either. He started from scratch. So he told me to jump and do it, try it out. And so I went to Flippa. Flippa, you can buy and sell small websites there. And there was one that caught my eye that was – I think the buy now price for was $6000. And it was making $900 a month. I didn’t understand why he would sell a business that was doing that well and it was passive for that cheap. I don’t think at the time the seller had included enough information. So what I did is I called the seller. I e-mailed and said, “Hey, let me get your number. I’m interested,” and called her. I found out she just had to sell it really quick. She had to sell it very quick. She lowered the price to $4000 for me and I bought it. And so this was a no-brainer. It wasn’t even close to whether I should try it. I didn’t think it was going to flop 50% at the time. So I bought it. I wired her the money. Sales started coming in. A few months later, probably four to five months later, I made all my money back already. I didn’t have to do anything really. The average price point on that business – it was a baby furniture store. The average price point was 300 bucks or something. So I only had to make 10 sales per month to make roughly a thousand bucks a month. It was 10 to 12 sales or something. It was a super passive business, all dropshipped. And then, I just kept doing that. I kept buying stuff. That’s an extreme example of a low multiple. Usually, stuff doesn’t sell that low. But I just kept buying stuff, kept starting stuff. And I guess within eight or nine months, I had probably 15 to 20 going. I was just amazed at the low multiples you’re getting. Like you said, it’s the same as real estate. If you look at real estate, you may have to put a $25,000 down payment to get $100,000 house where then you’re going to expect sales. So, people say, “Oh, you can leverage real estate. You’re going to make more money.” Sometimes, that’s true. My brother does real estate. He does really, really well. He leverages and does all sorts of refi-cashouts to reinvest the same money in new deals. But with online businesses, you can do it very, very quickly for very cheap. So in other words, for a cash flow business, let’s say you put down $25,000 in a real estate to get $100,000 house. Maybe you’re going to cash flow a few hundred bucks in a good case scenario. And then, you look at an online business, if you put down $25,000 (you’ll maybe not going to be able to leverage a deal that small), put down $25,000 cash, but you might be able to get a site that makes $1000 to $2000 a month. So you’re going to make at least 5 to 10x cash flow on it. But the other big difference is – here’s the thing. With real estate, if you buy a single family home, for example, your upside is so capped. What I mean by that is the only ways to make more money on the deal is maybe you increase rent next year by $25 a month or $50 a month or whatever. You can maybe increase the amount of money you make a little bit, but it’s going to be so tiny. And so with an online business, maybe I can turn that business from making $1500 a month to now it makes $3000 a month because I put some work into it. So now, I not only increased the cash flow, but I increased the asset on the back end. So instead of my $25,000, when I go to sell it, maybe now I have Flippa for $50,000 where your chance of doing it so quickly in real estate is slim to none. I’ve done real estate myself. I bought some stuff a couple of years ago. I happened to get crushed because I bought at the wrong time. I bought in 2006. But now, I do some real estate investing, but it’s through people who do real estate for hard money loans. So basically, I get paid 16% to 18% on my money, but there’s no work. It’s 100% passive. A lot of people look at real estate and say, “Oh, it’s passive.” A lot of times, it’s not 100% passive. But as a hard money lender, it’s 100% passive. All you have to do is just make sure your money is secured against the assets you’re putting it into. In other words, just make sure it has enough equity so if the deal falls apart, you’re still protected. Mad Fientist:	That sounds good as well. To go back to the e-commerce stuff, so you started in e-commerce. You built up a big portfolio of e-commerce sites. Have you ventured out of that space into other online properties? Billy Murphy:	Yes, I’ve basically sold off most of those. The reason being, it was not the way I would do it if I did it again. I would have just started like we talked about with the diworsification stuff, there is so much stuff to manage that it would have been easier to have one business that somebody could manage for me where with 15 to 20 different ones, it was a lot of work for sites that weren’t necessarily making a lot of money. Mad Fientist:	And now, you’ve transitioned into web-type online investing. Billy Murphy:	Yes. So mostly, what I’m doing now is investing in deals like – I guess, no specific niche, but deals that need capital and need advice. For example, I invested in a start-up design company. And so I put money in, helped them strategy-wise, helped introduce them to people who needed websites done. We put a big amount of money into advertising through Adwords and through things like that to try to get the initial traction that they would have to wait a long time to get. Another deal I just invested in was an e-commerce business that they get their stuff from China. They needed money for more inventory and money to buy media. They needed money to – now, we talked and decided to do a second line of what they were doing. So we’re creating a prototype, we’re going to be buying inventory for that. Basically, the deals I’m looking into, I guess you can almost look at it kind of like how a venture capitalist would do it or an incubator, a combination of those, but on a very small level. So the deals I’m investing in would be seen as un-investible deal. So I’m looking at businesses that maybe needed 10 or 20 grand and they’re very small. The upside on these deals, they’re not going to be a $100-million company, like most angel investors or venture capitalists invest in. These deals are in e-commerce that’s making $3000 a month where with a $20,000 cash infusion and some advice, we could maybe get to a point where they make $30,000 a month. So it’s the type of things where the upside is not going to be a huge, huge sale on the back end. But at the same time, the return on money is potentially extremely big for two reasons: 1) because of the fact that no one invests in businesses like this and 2) because my downside on this is pretty safe. Most of these deals are either already making money and/or they’re very easy to get them to make money like a design company, for example. That’s a company that even if it doesn’t go well at all, it’s gone really slow at this point, even if it just flops completely, you don’t really need much money to break even on doing design works because you’re basically just buying advertising and paying for expenses and things like that. With e-commerce stores, they’re already making money. So it can essentially make back my money even if we didn’t scale it in a worst case scenario. Mad Fientist:	Obviously, I don’t think you could find opportunities like that on foot. This is probably coming from your network of people. Is that how these other deals came about? Billy Murphy:	These two specifically, the first guy from a design company was an intern for me. I actually met him at a conference, entrepreneurial meet-up two years ago. Then he wanted to become my intern. So he was my intern for a little bit. And then he went off to start a design business and it was taking him a while to get going because he didn’t have a lot of capital, he didn’t have a network. So I told him, “Why don’t I just invest and help you out?” And so it’s him and a partner, moved down to Austin and started it then. It’s a similar situation with the other guy with the e-commerce store. He read Forever Jobless. And then, he was at the same meet-up as I was in Arizona. And we just started talking. I told him if he needed help getting going, needed help scaling or anything, just to let me know. He did. And so, we worked on a deal. I think we just closed that one two weeks ago. So I’m just getting started with this stuff. There are a couple of other ones I’m looking into, but I’m taking it slow at this point. But I’d like to do at least 5 to 10 of these slowly and learn from them, see if I enjoy it. And then, if it goes well, try and do it on a very large scale. But right now, I’m just slowly dipping my toes in and just learning the best ways to do this. Mad Fientist:	That’s really cool. A lot of my listeners, myself included, we don’t need too much to sustain ourselves and we’re looking for financial freedom so we can do whatever we want. Two thousand dollars a month, that’s a good life in most places that you could have for yourself. What would you suggest somebody who has a bunch of capital sitting around maybe in index funds or something? What if they wanted to just break out 25, 50K and purchase something that could potentially provide enough income to live off of? What would you recommend? Billy Murphy:	I would say it would depend on what type of variance they want to do. In other words, what I would do if I was in that position would be to start a business with it, knowing that maybe the business would or wouldn’t work. If they’re okay with that risk, I would probably not necessarily use a lot of the money to do it, but start a business from scratch, fill a need that isn’t filled right now. If they just wanted to take that money and invest it and use that to basically create a new income source, I think it would be a good idea for them to basically buy an e-commerce store or there are other passive businesses they could buy, a SAAS business that makes a couple of grand a month as long as they do enough due diligence and know that they’ll be able to do it, know that they’re not going to buy it and have sales drop out from other them. It takes a little bit of work. A lot of these deals are 100% passive. If it were me, maybe there’s a deal that they can look into to where they could create a certain brand or product in China, which sounds hard if you’ve never looked into it. I know a lot of people getting into that space just because it’s the same as a drop ship store, except for the fact that you just create a new brand. It takes a little bit of money on the front end and a little time to set up, but it’s a lot safer and higher upside than doing drop ship because in drop ship, you’re selling the same stuff as everybody else. Although drop ship is 100% passive for the most part, there is less reason for people to want to buy from you as a drop shipper. And that’s where my experience is. I’m talking about e-commerce stores, specifically. But there’s a lot of different spaces where somebody could jump in and buy something, spend 25 to 50K, have anywhere from $1000 to $4000 a month in income off that. Mad Fientist:	No, that’s great. If someone was hoping to just purchase something and do what you did, purchase something and learn from it as well, I know Flippa is pretty much – it’s usually focused on the more lower end stuff. Can you find some good 25 to 50K deals on there or are there other places that you would look to buy those types of businesses? Billy Murphy:	Flippa is probably the lower end. Most of Flippa’s deals are anywhere from $500 website to maybe $50,000. Fifty would be on a really high end for Flippa. So let’s say 25 to 50K, you might find a couple on Flippa, but there’s not going to be a lot. So I would start maybe talking to small website brokers. Most brokers deal in 100K+ stuff just because they get paid 10% commission, so doing a 25K deal isn’t going to get them a lot of money for their time. However, a lot of times those deals, if they come across them, maybe they’ll just refer them off to you if you ping enough brokers. And then what may happen is a broker may come across something that they either normally wouldn’t have taken and maybe they’ll take it and try a work a deal for you or maybe they’ll just send it your way, it’s too small of a deal for them. Maybe they’ll say, “Hey, I have this person who is asking about this.” They’ll connect you with the person looking to sell it. So what happened for me was one guy specifically had 20 sites. And he had seven of them that he wasn’t doing anything with. So I bought a package of seven stores. I didn’t want anything to do with four or five of them, so I bought it. I think I kept three of them, sold off four of them. And basically, I was able to break even on the deal from selling the stuff plus had three passive businesses that I kept. You’ll find a lot of times that somebody else’s trash can be your treasure if they’re not paying attention to their smaller businesses. And I think I gave one example of – it was a horse saddle store. The guy wasn’t doing anything with that store. He lost his deal with the supplier. Since it was one of the small deals, he didn’t have time to do anything with it. So basically, to keep the story short, I got the deal re-set up with his supplier which took a little bit of work. But then a site that really wasn’t making any money at all, maybe they’re making a hundred bucks a month, instantly, the next month, we did $8000 in sales because the guy hadn’t done anything with it. He wasn’t paying attention to it. So there are deals like that out there that it’s more work to get into and finding the opportunity. But at the same time, if you can buy somebody’s junk, chances are that you may have some pretty good upside there just because they haven’t looked at it for a while. Mad Fientist:	That’s really cool. Once you get it, I’m going to refer to one of your other post here, How to Create a Business that Prints Money, you say there are two steps to being successful in business. Step one is you have to know what you’re creating and make sure that it’s something that’s more valuable than anything else that’s currently in the market. Then step two, once you have step one done, you can then just figure out how to reach your potential audience. You mentioned this in the post actually that most people are just focusing on step two. They’re just creating their Twitter accounts and Facebook accounts and worrying about e-mail lists and things to try to reach an audience, but they haven’t figured out how to create something of value that’s better than everything else that’s out there. The fact that you’re successful in this space is just a perfect example of how what you’re saying is actually true because the make money online space is just extremely crowded. But here you are, you came out and you’re producing just incredible articles and you quickly exceeded everybody else that’s doing the same thing that they’ve been doing for years. I think that’s an excellent example of how if you create something of really good value then that’s the most important part. If you could talk a little bit more about that post. Billy Murphy:	Yeah, definitely. In your example for the blogging was perfect. For example, my blog isn’t necessarily a business at this point because I don’t try and monetize it year. But when I looked into the blogging space, I couldn’t find a lot that I personally wanted to read just because the stuff I was into, nobody was really talking about it. So the gap in the market was that the way that I can offer more value was basically taking a totally different approach in writing 2000, 3000, 4000-word articles, not really worrying too much about how often I put them out and just covering concepts in depth and talking about something people weren’t talking about. And that was filling that need in the market. So in terms of the step two for that, a lot of times, if you can solve step one in a big enough way, it works as your marketing in a lot of ways. In other words, when I put a post out now, people do all my marketing for me. For example, my e-mail list will share it. People will tweet it and Facebook it and tell their friends about it if it’s something that actually help them solve a need or they think it will help their friends solve a need. A lot of times if you can solve the value end of it and say, “Is this more valuable than anything else out there?” if you can just get it in front of your audience, they’ll do a lot of your marketing for you. Mad Fientist:	That’s great. I’m actually going to quote you because there’s an amazing quote in that post. It’s actually in your Welcome to Forever Jobless post, but you’re talking about how everyone else in the space is focusing on their own things. And you say their audience is looking for food and they’re spending all their time telling them how they could theoretically use a knife and fork. The problem is their plate is empty. No matter how great they become with their utensils, it won’t matter. They’re still going to starve. That definitely really sums it up. You’re focusing on completely different things than most people in the space. But what you’re focusing on seems to be the important part. And I don’t read that much in the space because, like I said, most of it just seems like – I’ll quote you again. Learn how to sell e-books to people who want to sell e-books about selling e-books. That’s what it feels like. So yes, your site, I couldn’t recommend it enough. Really well done with it. And if the listeners out there haven’t checked it out, definitely head over to ForeverJobless.com and you won’t be disappointed. We’re getting to the end of the interview here. I usually end all of my interviews by asking, “If somebody is hoping to pursue financial independence, what would be the one thing that you would recommend?” It could be through entrepreneurship or otherwise, just what would be one piece of advice you’d give? Part one of my feedback on that would be only listen to people who have been exactly where you want to be and then listen to everything they have to say. So read everything they put out, listen to every podcast they put out, and basically, they have the answers. A lot of things in business or investing, someone else has done exactly what you want to do already. So all you have to do is figure out how they did it, which sounds maybe hard, but it’s actually pretty simple if you just want to put in the work and listen to them, and figure out how they did it. Unless you’re Steve Jobs or Elon Musk, you don’t have to reinvent anything to make a lot of money. A lot of times, you just have to follow exactly how someone else executed it and do that. It’s easier for to do it because someone else has already been there. The second part of that advice would be I think a lot of people focus early on, “Hey, I need to build up a lot of capital. I need a lot of money to start a business or to invest” or whatever it may be. I think knowledge scales a lot quicker than money does. So, what I mean by that is a lot of people maybe get a job, try and save up money. A lot of the skills they learn won’t help them as an entrepreneur, as an investor, where, say, the same person got a mentorship, I don’t know, whatever it is that they want to do. But if they got a free mentorship with that person, by the end of six months or a year, the knowledge that they gain from learning is going to scale a lot quicker than the money they would have saved up in the job. I think people underestimate how important it is to be knowledgeable on subjects and to have a network. Networking is another super important thing. I know I probably have given off way too many, but networking and building knowledge up and building a network will scale substantially quicker than having a little nest egg will do. Mad Fientist:	That’s awesome. It’s all good advice. So if people want to learn from you, what’s the best way? Sign up to your e-mail list? Billy Murphy:	Yes. They can head over to Forever Jobless. Like you said, sign up for the e-mail list. Mad Fientist:	Excellent! I really appreciate you taking the time to talk with me today, Billy. It’s great stuff. And like I said, I love your site. I love what you’re doing over there. So I’m really pumped about the new podcast. So thanks again. Billy Murphy:	I appreciate it. Thanks a lot for having me on. Mad Fientist:	I hope you enjoyed my interview with Billy. He’s a really interesting guy. I actually had the pleasure of meeting him in person last year in St. Louis. We chatted for about 10 minutes. He’s just a really smart guy. His blog is just incredible. 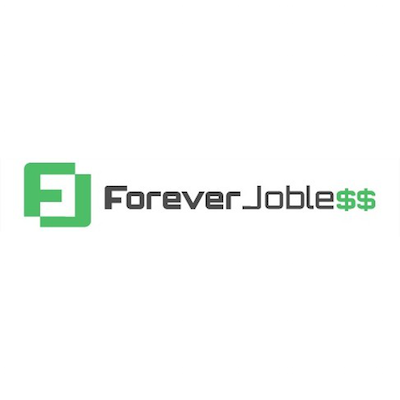 So if you haven’t checked that out yet, definitely head over to ForeverJobless.com. I know we chatted about some of the articles (and I’ll put those links in the show notes), but all of them over there are just excellent. So take a look at that. As we mentioned, he’s also releasing a podcast today, which I’m really excited about. So after you finish listening to this, just head over to iTunes and check out what he has to offer. I don’t know exactly how all the iTunes stuff works, but I’m pretty sure that if you get a lot of listens and comments and things like that in the first week, then it really helps put you on the chart as far as iTunes is concerned and that help spread the word. So to thank Billy for coming on the show, just all you guys out there, head on over and leave him a nice review and take a listen to his podcast. And that would really help him out, I think. Speaking of reviews, I have to thank Ry for leaving a really review for the Mad Fientist Financial Independence podcast. It’s been a few months since I’ve posted. I hadn’t really been thinking in the podcast, but I just checked out iTunes one day and there’s this such a nice review that it actually really prompted me to start arranging more interviews and things like that. So yes, thank you for all the kind reviews of this show. It always helps and it’s always nice to see. And it definitely motivates me to keep producing more. So I really appreciate it. Thanks a lot to Billy again and thank you guys for listening. I’ll catch you next time. Thanks. Justin Cooke from EmpireFlippers.com joined me for an episode of the Financial Independence Podcast to dive deep into website investing! Woo Hoo! New podcast! Can’t wait to listen. Let me know what you think after you’ve had a chance to listen, Dave! Very interesting podcast. I haven’t visited Billy’s blog before this, but now I plan to. I love the idea of passive income through websites, but I definitely don’t have the expertise or resources that you or Billy do. I am actually moving forward with real estate investing, which I have spent quite some time researching. It doesn’t have the returns you spoke about in this podcast. My one concern about online businesses is that the online landscape changes so quickly. The way google delivers search results and who knows what other changes lie ahead that could devalue websites. Of course, crazy things can happen with physical real estate as well. Yeah, you definitely don’t get those outsized returns for free; investing in online real estate is a lot riskier than investing in traditional real estate so you have to take on much more risk to get those higher potential returns. I’d be interested in hearing more about your real estate investing so hopefully you’ll be writing about it more as you dive in. Absolutely – just getting things figured out, but I definitely plan on writing about my experiences with real estate as I move forward! Looking forward to listening to the podcast and setting up my investments to generate enough to be FI! Great interview. I can’t wait for the next podcast! Thanks, Cody! The next episode will actually be out really soon so stay tuned! Where would someone go to find internet businesses or websites for sale? 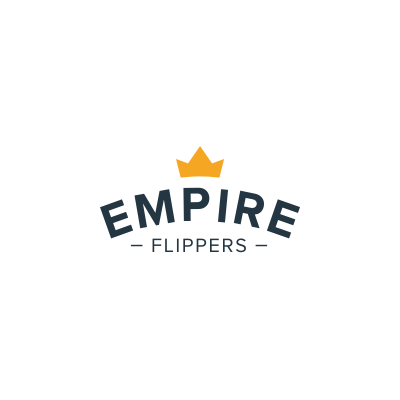 Flippa.com is a good place to find some lower-end sites to buy and you can check out EmpireFlippers.com for some higher-end stuff. As Billy said in the show, you can also start hunting around for people that own many sites to see if they want to offload any. That will obviously take a bit more work but could potentially be more rewarding. Awesome podcast! Its exciting to hear you are going to take the show up a notch. I have been following health podcasts for 2 years now and wanted something similar for finance. You hit the mark. Cant wait to hear your new stuff. FYI – going to give you thumbs up on iTunes. This podcast was great! I’m going to start following his blog and check out flippa. I’m interested in the EV calculation – math always makes for better decisions! Thanks again! I feel like if you hit on one of these deals it can turn out amazing. I’m wary to throw diversification to the wind and put so many eggs in one basket. Yeah, I completely agree. I’d be willing to put $25k towards this sort of stuff but probably not much more than that. After I leave my full-time job, I’ll have more time to build a few web applications that I’ve been thinking about creating so I’ll likely do a couple more from scratch before investing in anything someone else has built. Hey this was a great podcast. It opened my eyes to things that I had never known about. There is definitely some due diligence involved here, and it seems interesting to check this out. At first on the small scale side. Glad you enjoyed it, Erik. I agree that starting small is probably a good idea. Let me know if you end up diving in! Sorry for commenting on an old podcast. A whole world of investing that is rarely spoken of. I wonder if there is or will ever be, something similar to REITS for this kind of thing? The scary part might then come in the form of a high expense ratio… And if too many people did this it might become less profitable, like what happened with pier to pier investing at the lending club. I’ve been thinking about getting treehouse subscription, and this post may have put me over the edge, if I start learning at treehouse in combination with forever joblesses info on his blog, I might be able to make a decent side job for myself. Thanks for the great podcasts, and for your blog in general. Feel free to comment on any post, no matter how old it is! If you haven’t already, you should listen to my interview with Justin from Empire Flippers because he shares his vision of the future of online business investing and it’s pretty interesting/exciting. I just finished listening to your interview with Justin from empire flippers and now I’m even more motivated to research this investing strategy. Thank you so much for introducing me and your readers to another great investment strategy and for finding experts to help us. I never even realized this was a possible investment choice. Personally I’ll need to research for a LONG time to figure out whether or not this type of investing is for me, I wish I were more like Paula from your earlier podcast and could just jump in and go for it. I’m the same as you…I research things for a long time (sometimes too long) before jumping in. Let me know if/when you decide to take the plunge!